One of the reptile keepers at this fabulous museum/zoo/botanical garden told me that these iguanas had been deliberately introduced in the 1970's, and had since established a breeding population. We saw two of them basking on the boulders by the Bighorn Sheep exhibit. 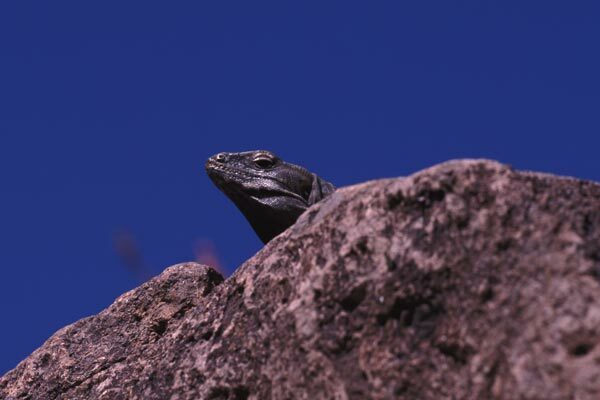 An article in the Sonoran Herpetologist describes DNA studies that show that this population appears to have developed from at least two lineages that are sometimes considered different Ctenosaura species and sometimes considered different Ctenosaura hemilopha subspecies. 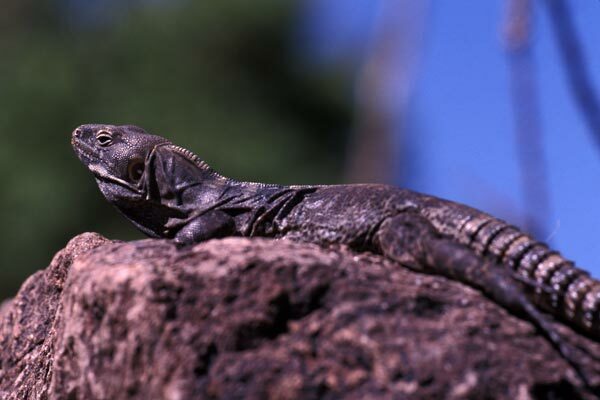 I will just list them as Ctenosaura hemilopha for simplicity.